Titanite Scale is an Upgrade Material in Dark Souls 3. Titanite altered by a soul. Reinforces soul-transposed weapons to +4. Weapons forged by souls transposition can only be reinforced by titanite of the same kind. In rare cases, Crystal Lizards devour souls, growing to monstrous proportion and leaving these great scales." Reinforces all Soul-Transposed Weapons to +4. Also reinforces some other unique weapons listed at the bottom of the page. Can be bought from Shrine Handmaiden for 20,000 souls each after obtaining the Dragon Chaser's Ashes from Archdragon Peak. Dropped by Rock Lizard in Archdragon Peak (rare drop). Receive 1x by trading a Blacksmith Hammer with the Crow. Receive 3x by trading Avelyn with the Crow. 2x at Farron Keep: dropped by a Giant Crystal Lizard, in the shortcut between the Farron Keep Perimeter bonfire and Crucifixion Woods. 1x in Smouldering Lake: found in the catacomb maze under the lake, in the room with the Basilisks. 1x in Irithyll of the Boreal Valley: found on a corpse before the Silver Knight archers, after the Pontiff Sulyvahn bonfire. It's on top of the building that hides the entrance to the Water Reserve bonfire. 1x dropped by a Crystal Lizard in a hallway near the first exit. 2x dropped by a Mimic chest in a side passage on the lower level with many Jailers. 1x found on a corpse under the staircase, in the shortcut area that leads back to the start of the level. 2x found in two chests in the same room, after the Oceiros bonfire. 4x in Untended Graves: 2x dropped by each of 2 Giant Crystal Lizards in Untended Graves (in the same location as the Lizards in Cemetery of Ash). 1x found in a chest near the Dragons, guarded by an Outrider Knight. 1x found on a corpse under the right hand Dragon (seen from dragon barracks), the dragon has to be killed to reach it. 3x dropped by a Mimic chest, at the back of the dark room at the top of the stairs, after the dragons. 1x found in a chest, in the chapel with a shortcut lift, right next to the Dragonslayer Armour boss. 3x found in a chest in the Warriors of Sunlight covenant room. 1x found on a body at the top of a bookcase, in the corner of the room with the giant wax basin. 1x to the left at the top of the staircase, in the dark room past the large wax basin. 1x on top of a bookcase beside the shortcut ladder at the second floor, drop down to it from the balcony above. 1x in a corner of the room with the illusory wall hiding the Outrider Knight, past the Crystal Sage's second location. 1x behind a bookcase next to the ladder leading down to the bridge, in the room with the illusory wall. 2x dropped by a Crystal Lizard on a bookcase near the large wax basin, drop down from the bridge to reach it. 3x in a chest in the room with several Scholars above the first shortcut lift, the area where Orbeck's body can be found. 3x on a roof outside the Crystal Sage's second location, next to where Greirat's Ashes may appear, jump down to it from the area with the Corvians. 2x on 2 separate corpses, up the left stairs after the Dragon-Kin Mausoleum bonfire, on the outside near a Rock Lizard. 1x from a corpse up the stairs from the Dragon-Kin Mausoleum bonfire, outside of where two Serpent Men ambush the player. 3x in a chest near a Crystal Lizard right before the second Wyvern, before the Great Belfry bonfire. 3x dropped by the Wyvern past the Dragon-Kin Mausoleum. 1x The Dreg Heap after the second bonfire in a fallen tower. 1x After the shortcut at the Ringed City Streets Bonfire, where you drop down to the Dragonhead Greatshield. 2x At the first hole after the Bridge where you first encounter Midir. It looks very similar to demon titanite from Dark Souls, and also serves the same purpose. 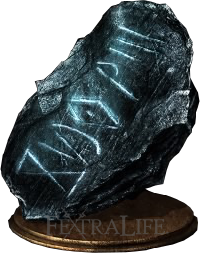 It costs 300,000 Souls to purchase 15 titanite scales, which is the required amount to upgrade to + 4.
i figured out if the wretches drop the titanite scale. and they dont. i downloaded a trainer thing called Infinity or as its called now Wemod and it has a trainer for a***** ton of games and it has one for Dark Souls III and it had a item discovery hack in there. so i tried it and i killed about 20 of those baby faced demons (wretches) and none of em dropped a titanite scale. From a recent playthrough, I have consistently been getting scales from the Overgrown Lothric Knight in Dreg Heap. From the first to the second bonefire, I have been able to get at least 4 scales per run by killing all the Overgrown Lothric Knights I run into. Scales drop from any ‘common enemies’ from earlier stages in Dreg Heap I believe, since I have also been consistantly getting scales from Thralls as well. There are 4 titanite scales In the area where midir first appears, the first 2 are on a corse at the end of a tunnel, the same one an undead cleric is hiding in, the other 2 are on a corpse below the path just before the mini catacombs area entrance. There is also a cystal lizard not far from the shared grave bonfire that drops a scale and a twinkling. Both scales and twinkling drop from the rock lizards. Could someone please fix the error "...with the single exception of the Cleric&apos;s Candlestick well as some other weapons..." It&apos;s a contradiction. I won&apos;t because I am just too lazy to go and start. Thanks n&apos; much love. How many Titanite Scales do you need to get a boss weapon to +4? That&apos;s enough to fully upgrade one weapon and partially upgrade the other (to +3). The rest need to be bought or farmed. What can I upgrade with it? https://www.youtube.com/watch?v=grU_dG1x7mQhow to get the infinite buy from shrine maiden. Need to unlock the dragon place first though. Is there a monster i can farm these from? A weapon requires 13 titanite scales to reach +4. Is there a infinite buy ? I&apos;ve killed the ones at the Road of Sacrifices, Cathedral of the Deep, and Farron Keep Perimeter. So far, only one has ever dropped. It was from the one at the beginning of the Road of Sacrifices. Since then, zero have dropped for me at all. Can someone describe the location in text? It looks like video links are still getting eaten whenever a page gets updated.